Beautiful view of quiet Salmon Lake in Parry Sound. Large lot with great sandy beach with walk in to water or dive off dock. Very private large lot, great for families and kids. Good bass fishing and close to local golf courses. 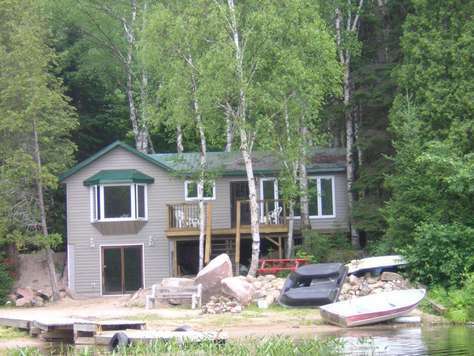 This comfortable, well equipped cottage with generator onsite, on a quiet lake, practically insures a fun, relaxing vacation. It boasts a sun soaked sand beach and the shallow drop-off makes it ideal for young children. Great area for nature walks and bass fishing is good. Cottage now comes with a lily pad which the children can enjoy at the waters edge. 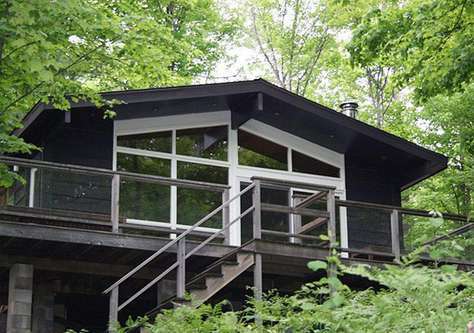 Our completely renovated 1977 classic Viceroy cottage boasts a large deck with a spectacular view of the rapids and Georgian Bay rocky shoreline. Trust us, the pictures don’t do it justice! The rapids will lull you to sleep in our two lovely bedrooms (queen & double beds) or take a nap or read a book on the comfy single sofa in the living area. The cottage is equipped with a canoe and adult life jackets. The canoe launch is situated two properties over and our canoe is fitted with wheels to get you there safely. BRAND NEW TO OUR INVENTORY!! 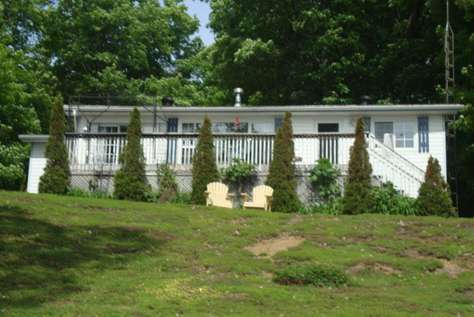 This 3 bedroom cottage located on Whalley Lake just minutes from Magnetawan sits on 1 acre of property & is well equipped for family fun. On the 100 ft of shoreline, you will find a lovely sand beach & dock with waterslide. Also includes an aluminum boat (without motor), paddle boat & kayak. You will also find a swingset & sandbox with toys to entertain the kids. Don't forget marshmallows to roast around the campfire! New deck at the waters edge for the summer of 2019, pictures will follow. Also this cottage now comes with wifi. Book today.